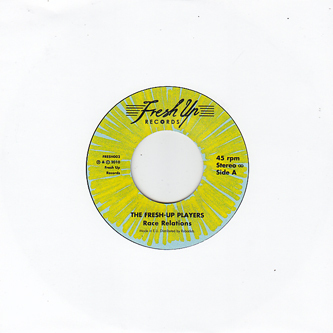 The enigmatic Fresh Up Players do the bandy-legged strut on a pair of squelchy rare groove funk ups. Again, this is rumoured to be the work of some band of well known UK producers, but we honestly haven't a clue who. 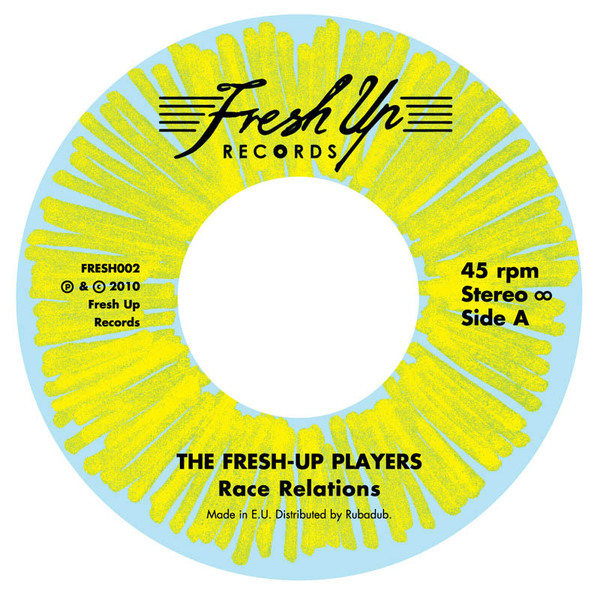 'Race Relations' knocks back a sureshot of wiggly Moog lines and crisp drum breaks, while 'Spaghetti Sauce' turns up a rudeboy bassline under the funky Moog moves. Fans of Luke Vibert, DMX Krew, Trunk records or Moxie edits should git on it.